Have you been thinking about starting a home business? Yes, it's scary. What is you fail and have to deal with friends and family running from you cause they don't want to hear your pitch! 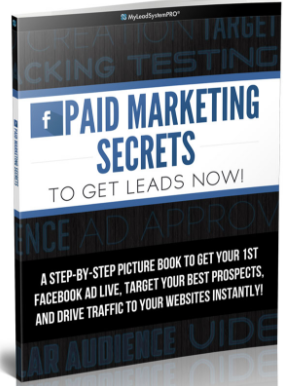 It can be painful, so I am going to share with you a Facebook Marketing Secrets to get leads interested in you you have to offer. GET YOUR COPY TODAY RIGHT HERE! Then Contact Me and we can get you started! I have been in the Internet Marketing business since 2014, learning, hiring coaches and mentors and learned a ton about the industry. Although I struggled at times and felt frustrated and ready to quit, a feeling inside me just kept me moving forward. I believed that Online Marketing was exactly what I needed to secure my future and allow me the time freedom I so badly wanted. One day I discovered a home business that met all the criteria I was looking for. This Online Business allowed me to work in my spare time and from anywhere, anytime I wanted. Now I work full time in My Online Business Education System. Sharing and mentoring others is fulfilling and rewarding, exactly what I was looking for. I can show you how you can have it all too. For more information, visit my About Me page. Contact Me and Let's discuss a business plan that Best fits your needs, and meet your goals and dreams. WordPress Website install and initial setup. Virtual Assistant services designed to meet your needs. 100% FREE, NO OBLIGATIONS; Let's Schedule a 15 minute call with me for the date and time that works best for you. YOU HAVE NOTHING TO LOSE! 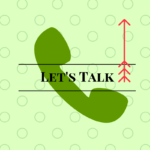 Contact Me, Let's Talk! THESE 15 MINUTES MAY JUST CHANGE YOUR LIFE. Schedule Your Time Now. I look forward to speaking with you soon. Together we can work towards planning a secure future that best fits your needs.